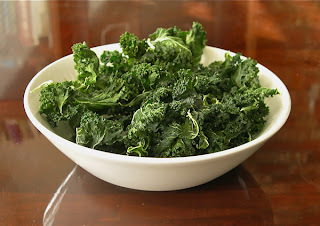 Kale chips are the perfect game time snacks for both Pittsburgh Steelers and Green Bay Packers fans. This light healthy snack can take the place of chips and other crunchy fried foods and only takes about 10 minutes to prepare and serve. 7. Roast at 350 degrees for 10-15 minutes, until crispy.